We’re Going to the Zoo! In First Class we have been talking about all sorts of zoo animals. We have started learning a song about the zoo too. Click on the link and sing along! In Room 10 we have been learning about energy and forces. We have been investigating light. First we brainstormed things that give us light. We call these light sources. We learned that the sun is the biggest light source in our galaxy. Light sources: fairy lights, a torch, light bulbs, candles, safety lighters. Then we learned about things which reflect light. 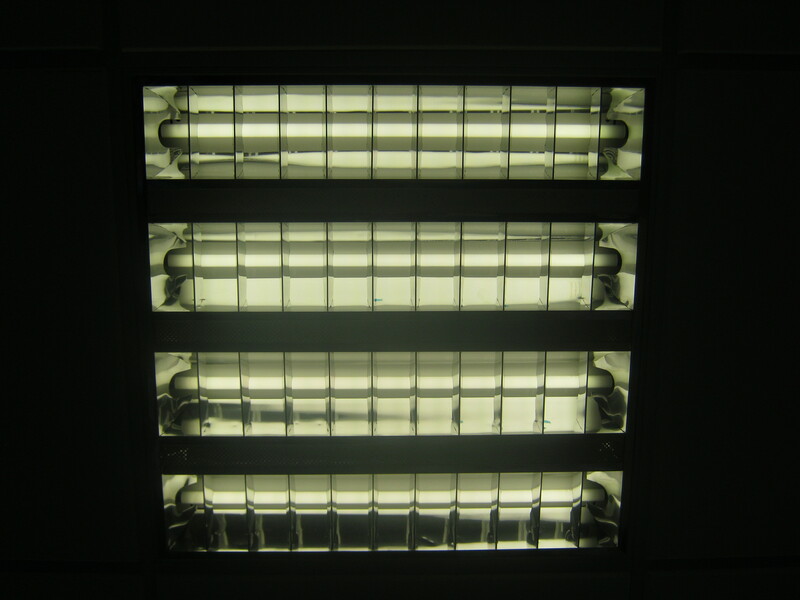 We call these reflectors. 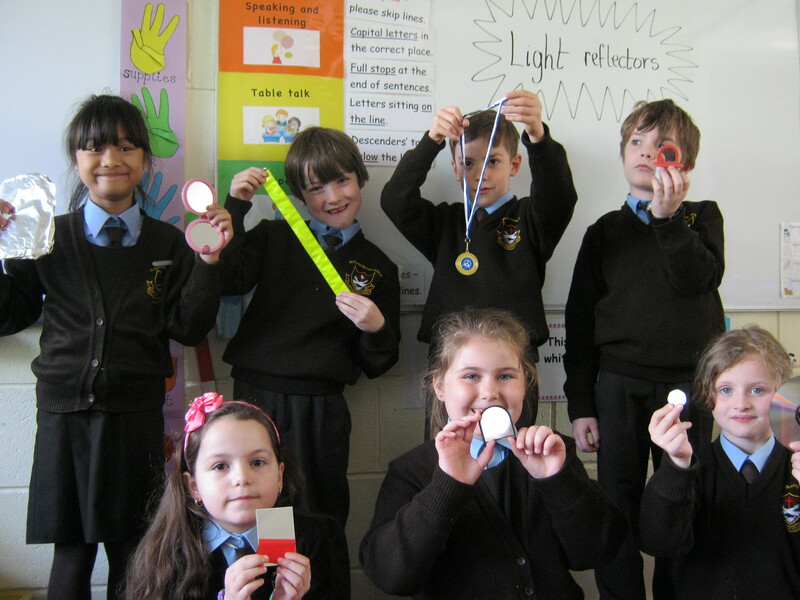 Reflectors: tinfoil, mirrors, high visibility clothing, medals, coins, DVDs. 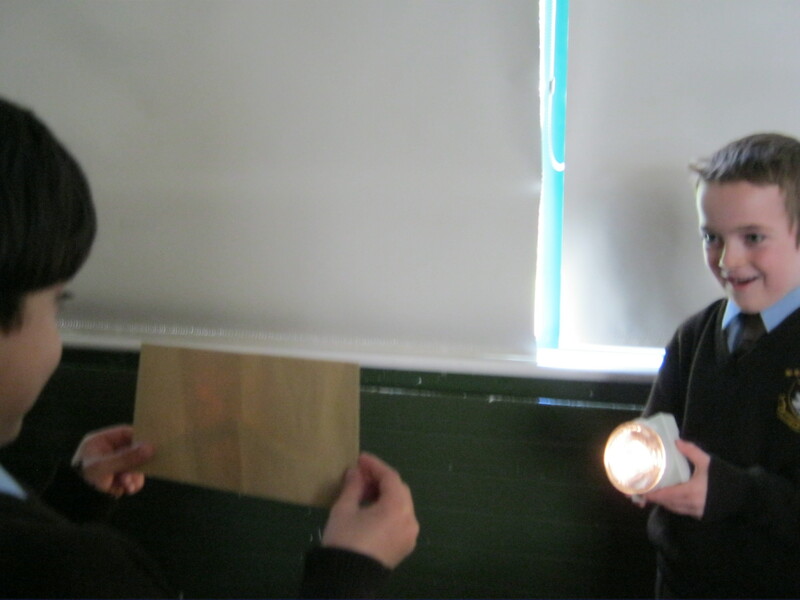 We learned that reflectors don’t light up themselves – light sources shine onto reflectors and the light bounces off them, making them look shiny. We learned that the moon is a reflector. It doesn’t really shine – it reflects the light coming from the sun. 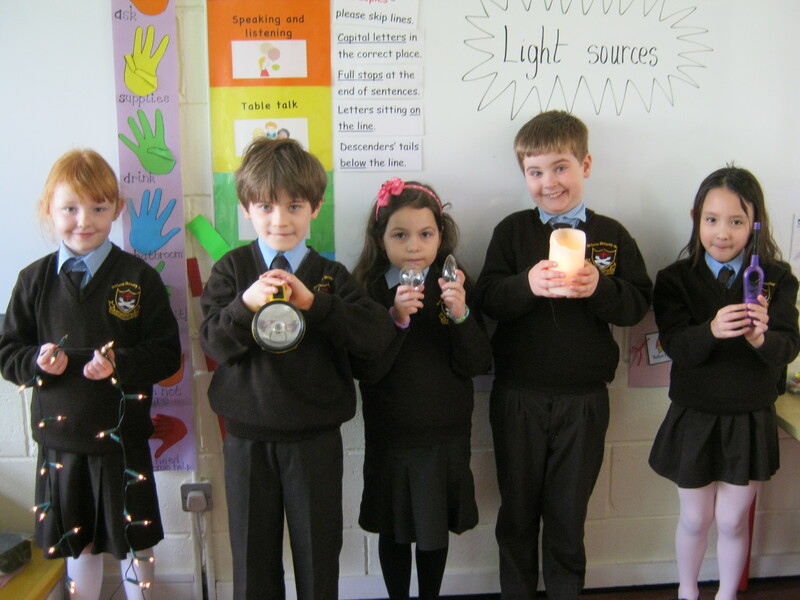 We brought in objects from home and tested them to see if they reflect light. Some of the objects were reflective, but some were not. The jewellery box was reflective. The envelope was not reflective. We also learned about things that are transparent. If something is transparent it means you can see through it. We brought in things from home which are transparent. 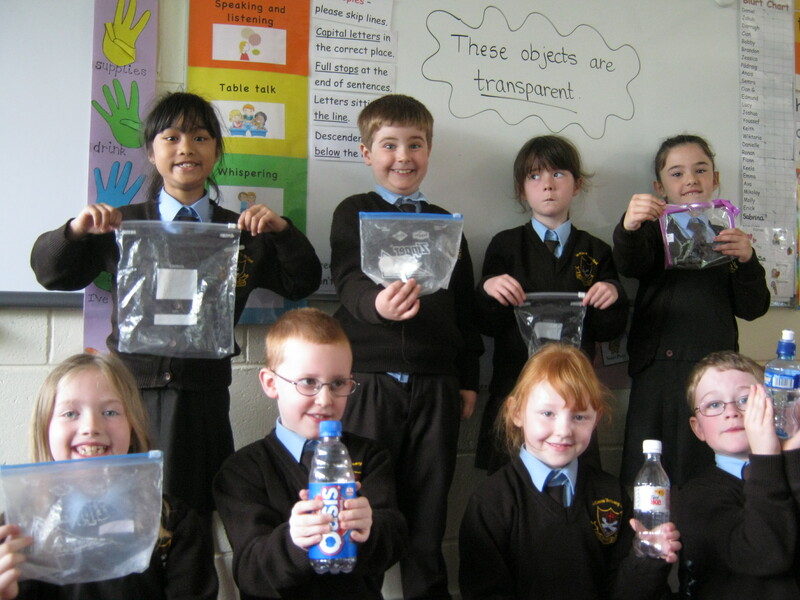 Transparent objects: ziplock bags, make-up bags, plastic bottles, water. 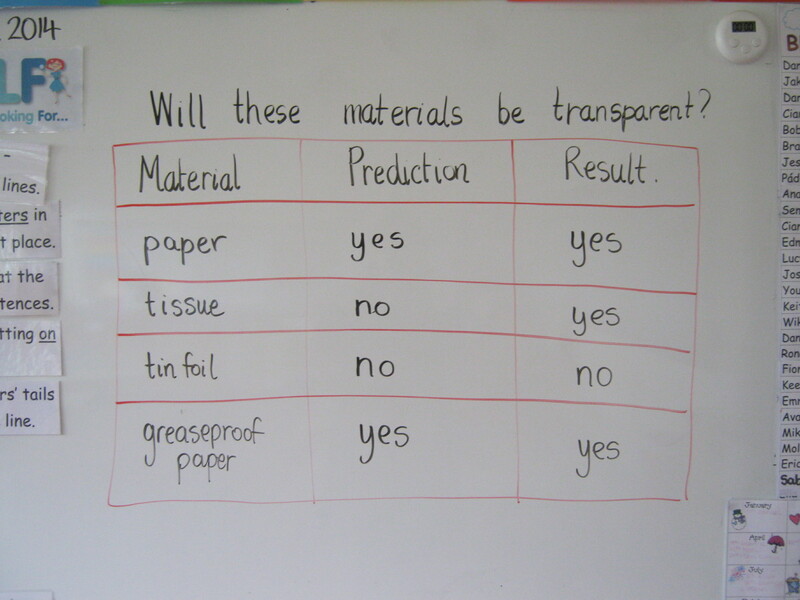 We investigated the transparency of the following items: paper, tissue, tinfoil and greaseproof paper. 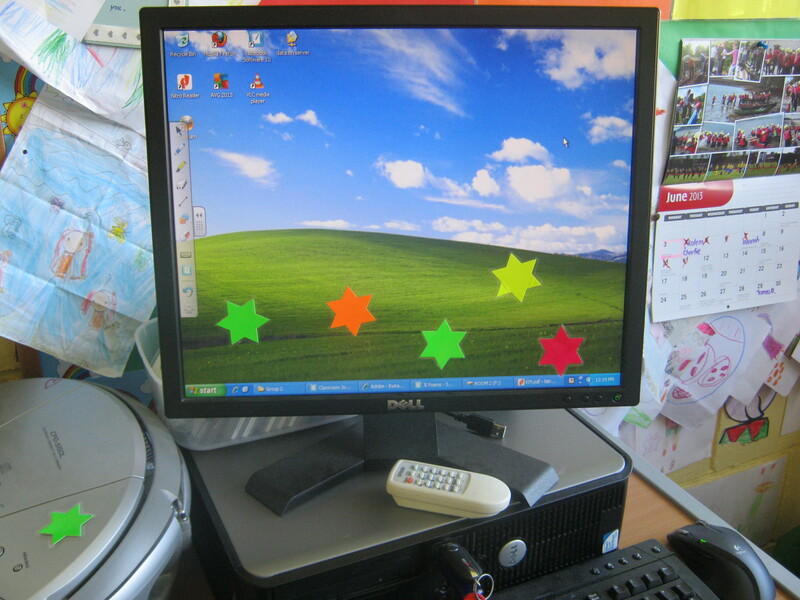 First we predicted which ones would be transparent and which would be non-transparent or opaque. Then we tried to trace a picture through each of these materials. Here are our predictions and our results. 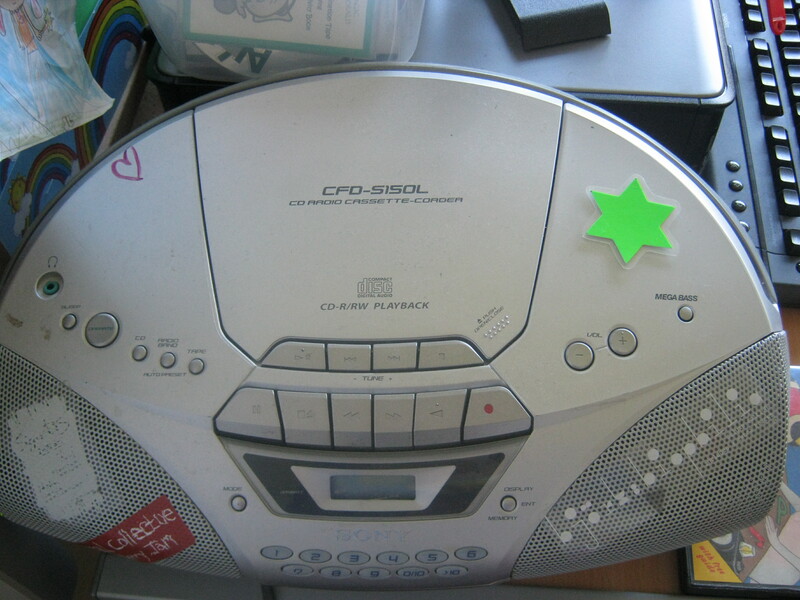 Here is a gallery of all of our investigations. We have been very busy in Room 2! 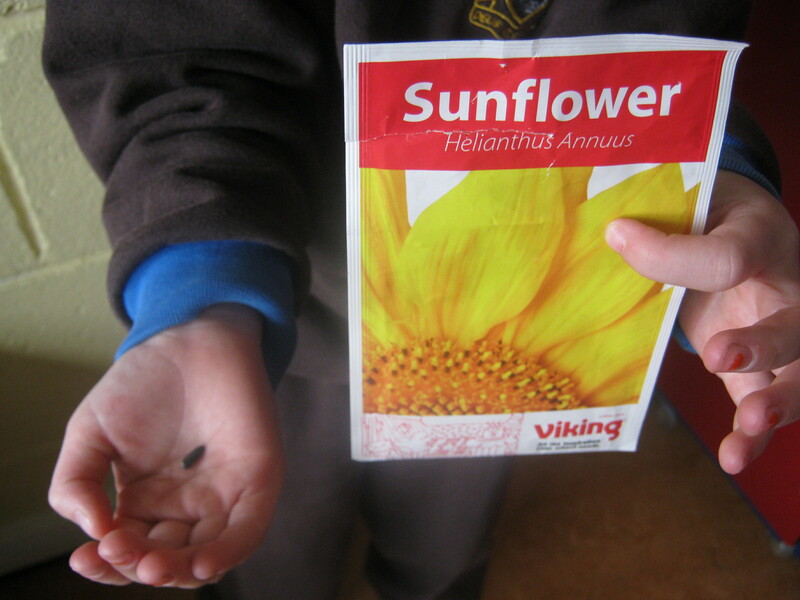 This month we planted sunflower seeds. 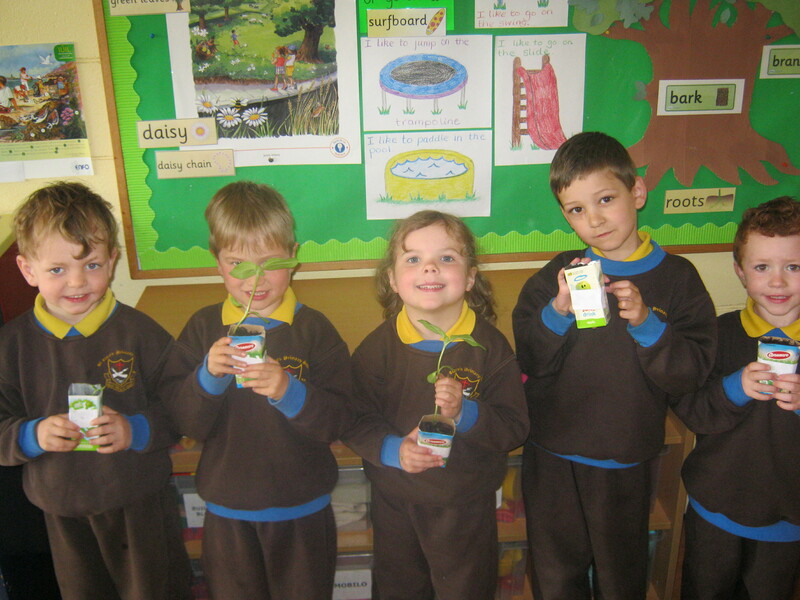 We recycled our milk cartons to plant the seeds in. 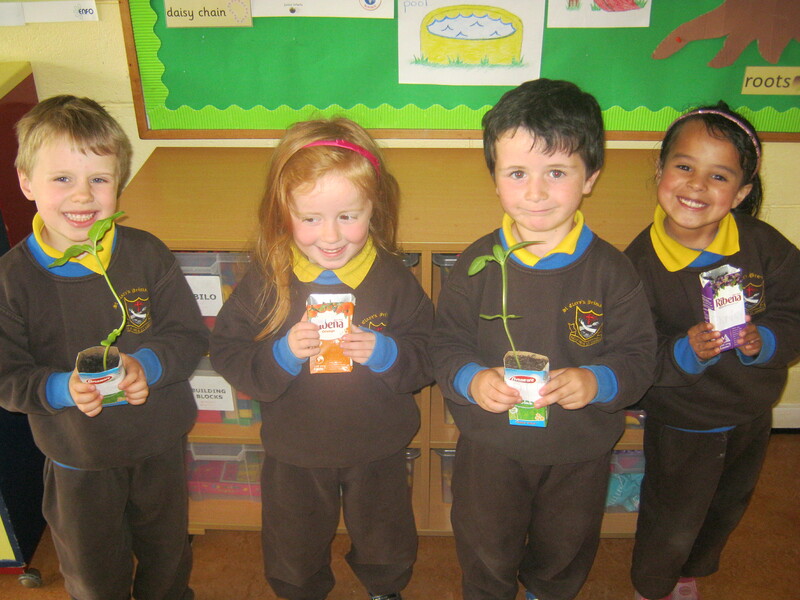 We learned that seeds need soil, water and sunlight to help them grow. 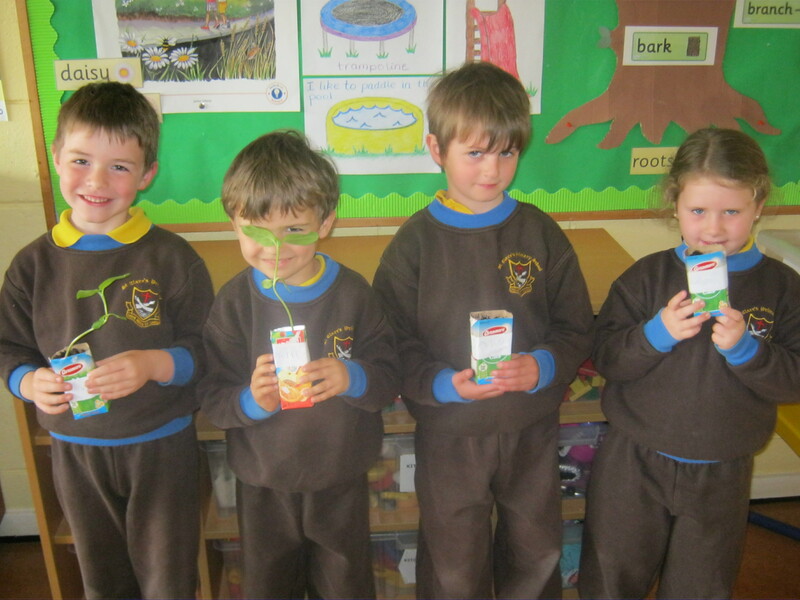 First we put some soil into our cartons. Then we made a little hole for our seeds. 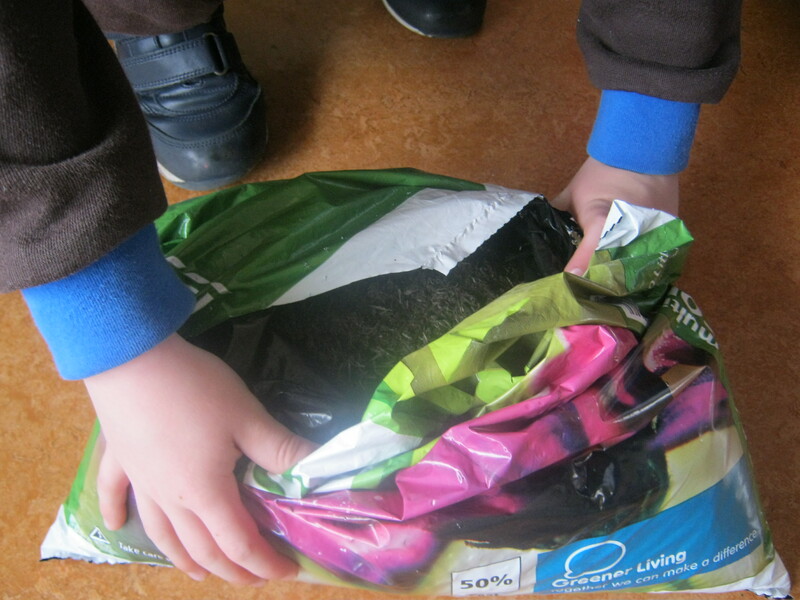 Next we covered the seeds with more soil. Then we watered the soil. 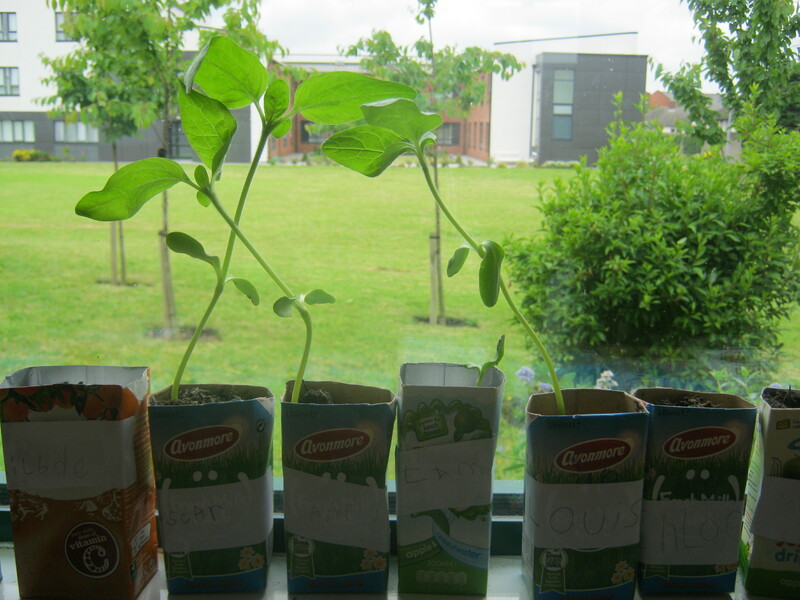 Last, we put our cartons on the window sill so the sun will shine on them and help the seeds to grow. 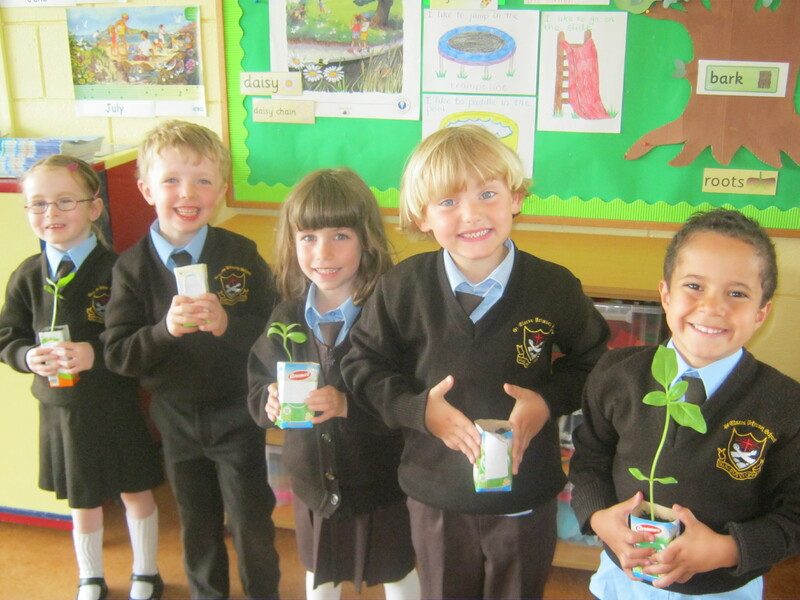 We really enjoyed planting seeds with our teacher! 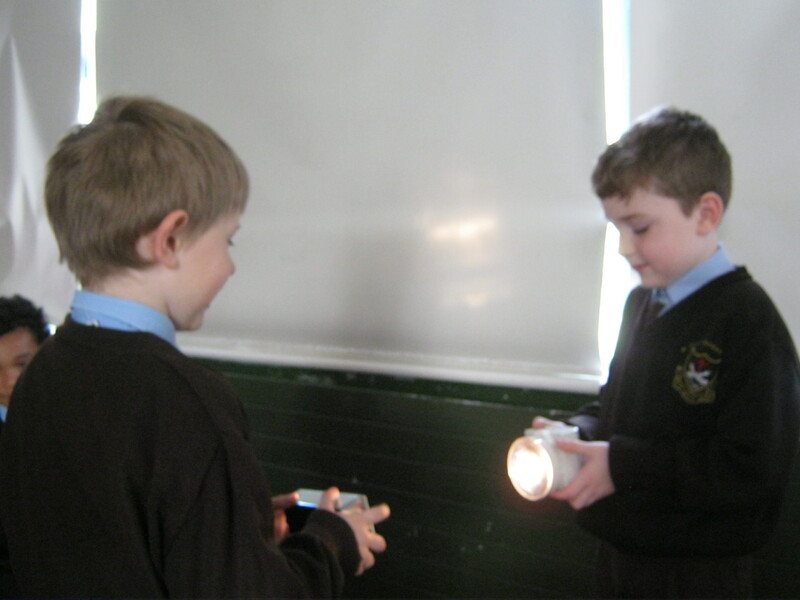 Last week we learned about electricity. 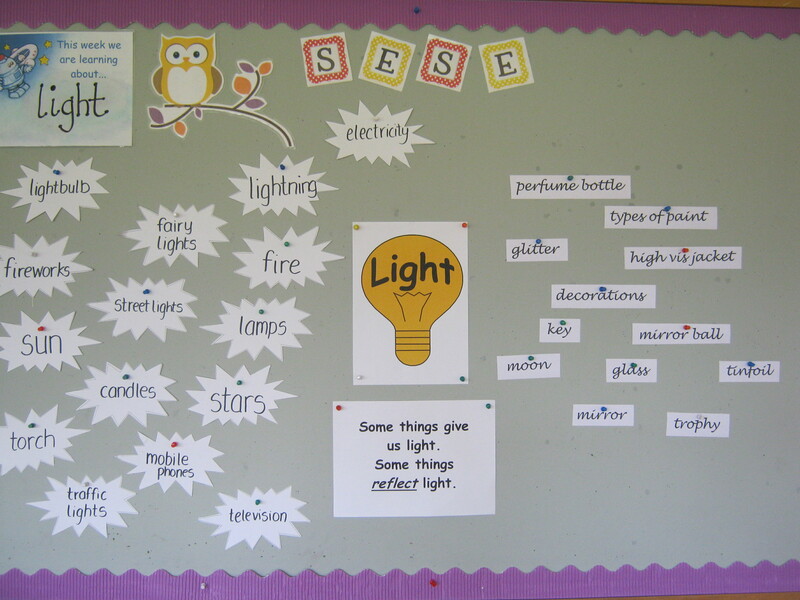 We talked about things that use electricity at home and in school. 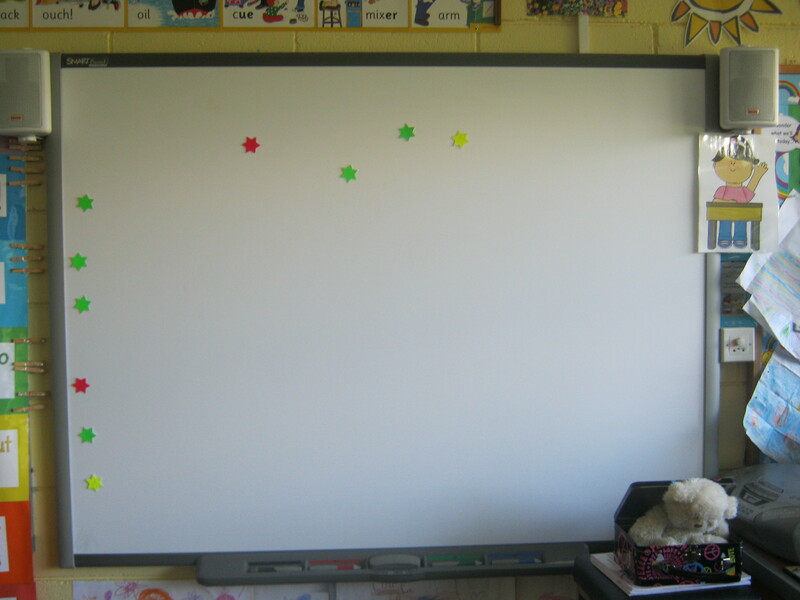 Teacher gave us stars and we had to put them on things in our classroom which use electricity. 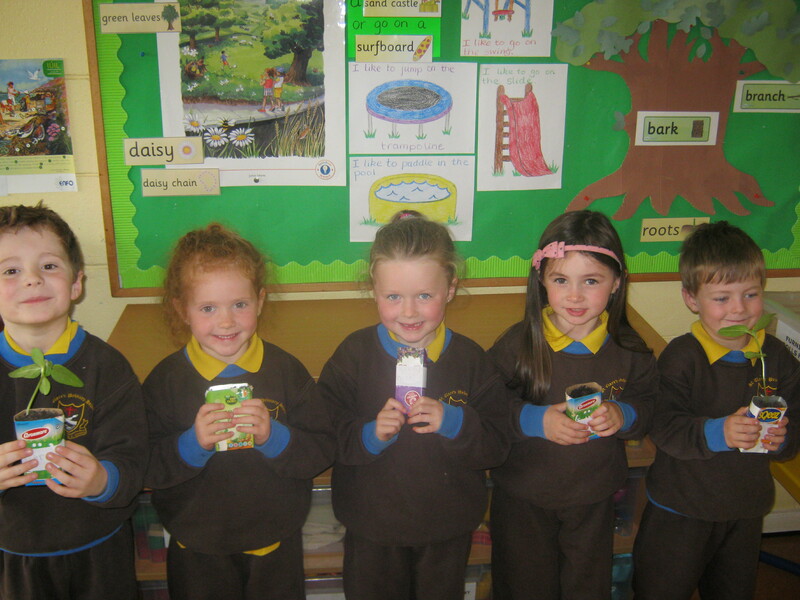 We found lots of items which use electricity! 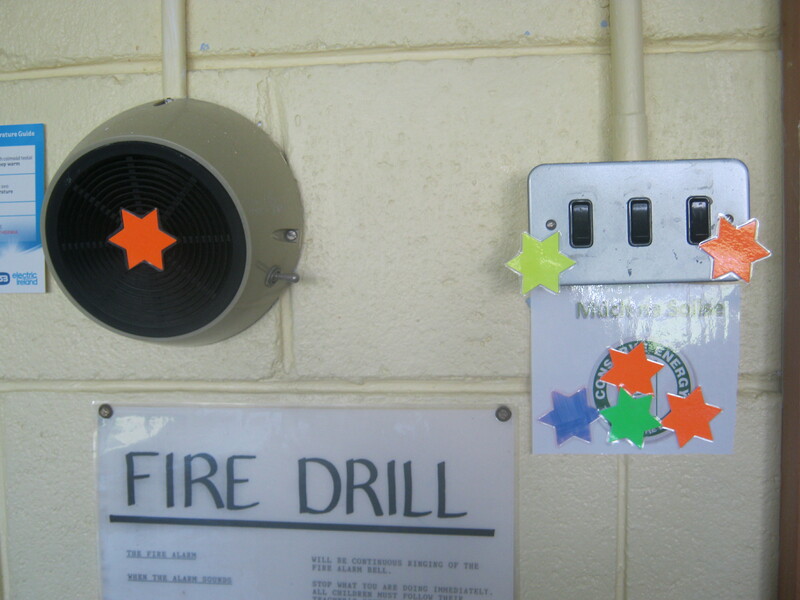 We talked about electricity safety rules. We also talked about how important it is not to waste electricity.